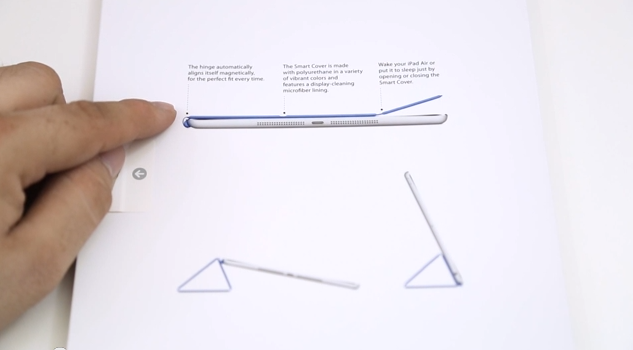 The iPad Air Smart Cover is essentially a magnetic cover that will allow the iPad Air to be put into multiple standing positions, and also ustilize sleep wake functionality. The cover can be purchased in a variety of different colors and it really gives a personal touch to the generic space grey and white color scheme. 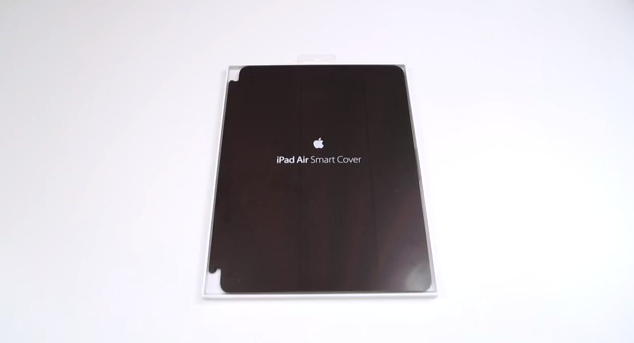 If you’ve ever used the smart cover for the iPad 3 or iPad 4, then you pretty much already know what to expect. It allows you to put the iPad Air in a good typing angle and also allows you to stand the iPad Air in a movie viewing angle. That aspect stays the same, but from what we’ve noticed, the stand is a little bit more sturdy so you shouldn’t have to worry as much about the iPad falling over. Before you go any further into the review, you’ll definitely want to take a hard look at the price : $39. Yes, this is just about standard for Apple products, so it shouldn’t come as too much of a surprise, but other cases can be had for a third of the price. We’ll have some other accessory reviews down the road, so be sure to stay tuned for those. Anyway, the smart cover doesn’t cover the back of the iPad Air so you may want to consider picking up a full body protector that covers the back of the iPad Air, that way it doesn’t get scratched. This is something I do with all of my Apple products to ensure they don’t get damaged. You could also just purchase the iPad Air Smart Case, which is another great option. Overall I would say you should definitely check out the iPad Air Smart Cover simply because it delivers the full Apple experience. Sure other cases do utilize the wake and sleep function, but it isn’t the same feeling as opening the iPad Air with the smart cover. If price is an issue, then be sure to check out some less expensive options here.